Our remount vehicles are given the same attention and service as a new ambulance going down the line. This means factory-quality attention, ensuring a fantastic remount. Factory remounts are the only remounts that retain a vehicle’s warranty. 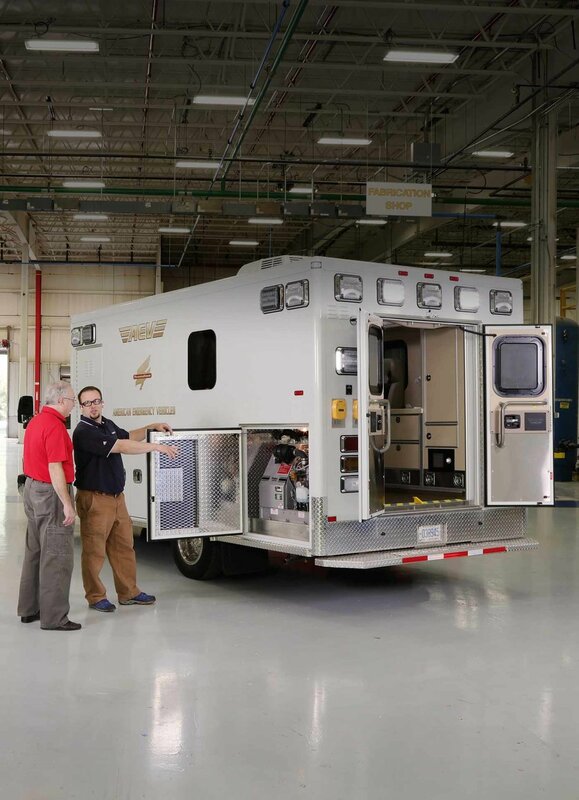 Remounts go through the same quality inspection process as a new ambulance with thousands of checkpoints. Remounts encompass much more than a new chassis. We can revamp interiors, upgrade electrical systems, apply new paint schemes, and much more. We have all of the assets to ensure your remounted vehicle is serviced correctly, to factory specs, when remounted.